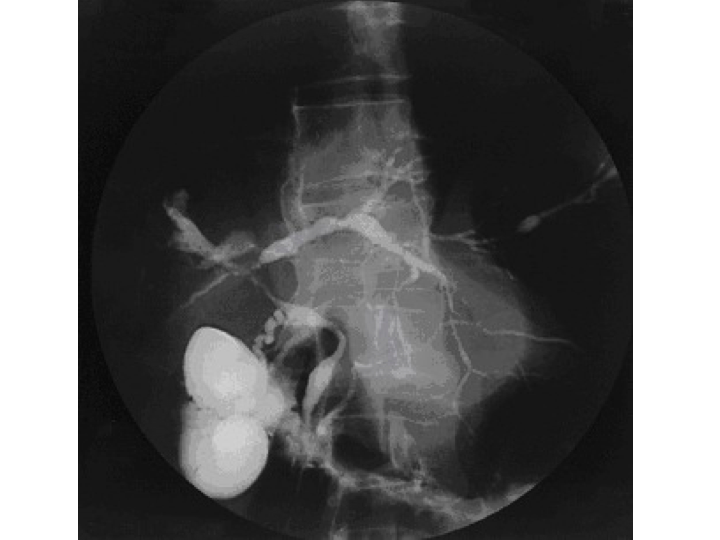 Image showing a Choliangiogram demonstraring Cholangiogram of primary sclerosing cholangitis. Biliary Interventions are minimally-invasive procedures that are used to treat blockages or narrowing of bile ducts. Biliary Interventions involve the gallbladder, pancreas, bile ducts, liver, and lymph nodes. Why is the Biliary Interventions radiology procedure Performed? There are no recent advances to Biliary Intervention procedures. What is the Cost of performing the Biliary Interventions radiology procedure? The cost of a Biliary Intervention procedure depends on a variety of factors, such as the type of your health insurance, annual deductibles, co-pay requirements, out-of-network and in-network of your healthcare providers and healthcare facilities. It is normal for a patient to feel uncomfortable and confused with a sudden inflow of information regarding a Biliary Intervention procedure and what needs to be done. How does the Biliary Interventions radiology procedure work? How is the Biliary Interventions radiology procedure Performed? Biliary Interventions are performed, both as an inpatient and outpatient procedure, at a hospital. An Interventional radiologist performs minimally-invasive Biliary Interventions procedures with imaging guidance. The interventional radiologist or physician attending to you will be able to provide information on the procedure requirement and duration. A physician will request your consent for a Biliary Intervention procedure using an Informed Consent Form. What are the Limitations of the Biliary Interventions radiology procedure? Obstructions (blockage) or narrowing of the bile duct may recur, which may require Biliary Intervention procedure again or an open surgery. What is a Biliary Intervention procedure? What is to be expected during the Biliary Interventions radiology procedure? A general anesthetic is used for a Biliary Intervention procedure. The patient shall be unconscious throughout the entire procedure, and they shall be monitored by an anesthesiologist. Since the procedure is minimally-invasive, blood loss involved during the procedure is minimal. What are the possible Risks and Complications during the Biliary Interventions radiology procedure? What Post-Operative Care is needed at the Healthcare Facility after the Biliary Interventions radiology procedure? There is no postoperative care necessary after a Biliary Intervention, at the healthcare facility. What is to be expected after the Biliary Interventions radiology procedure? Do inform your physician or healthcare provider, in case you develop an infection with symptoms such as fever, chills, nausea, and vomiting. What Post-Operative Care is needed at Home after the Biliary Interventions radiology procedure? The patients remain in the recovery room until they are completely awake and ready to be discharged, after Biliary Interventions procedure. Biliary Interventions procedures do not involve the removal of any body tissue. Who will you receive a Bill from, after the Biliary Interventions radiology procedure? The patient is advised to inquire and confirm the type of billing, before Biliary Interventions procedures are performed.